There are more than 3,500 species of mosquitoes around the world. In California, we have about 50 species and of those, only a few are considered public health threats due to their potential to transmit mosquito-borne diseases to humans. 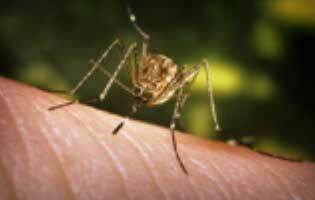 People who have been bitten by a mosquito infected with viruses such as West Nile, Saint Louis encephalitis, dengue, and Zika may develop life-threatening or life-altering diseases. For agencies and residents to effectively reduce mosquito populations and the chance of getting a mosquito-borne disease, it is important to understand the habits and behaviors of the different mosquito species. All mosquitoes must have water to complete their lifecycle. This water can range in quality and it can be in any container imaginable. 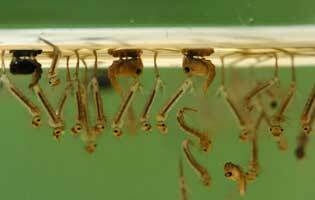 The mosquito goes through four separate and distinct stages of its lifecycle: egg, larva, pupa, and adult. Some species can go through their entire life cycle in as little as four days. Eggs are laid on or near water or where water will be. They may be laid one at a time or stuck together in rafts of 100-300 eggs. 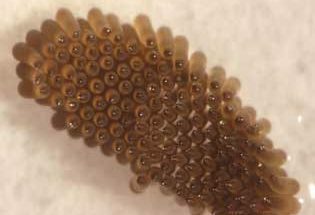 Most eggs hatch into larvae within 48 hours of coming into contact with water. Larvae live in water and breathe air from the surface. Larvae feed on micro-organisms and organic matter in the water. They shed their skin four times growing larger after each molt. The stages between molts are called instars. When the 4th instar larva molts it becomes a pupa. 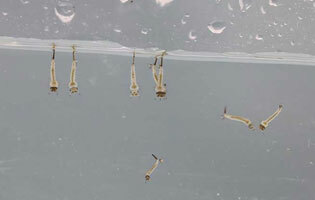 Mosquito pupae also float at the water surface and breathe air. When disturbed, they dive in a tumbling motion and then float back to the surface. The pupal stage is a non-feeding stage. This is the time the mosquito turns into an adult. It takes about two days before the adult is fully developed. When development is complete, the pupal skin splits and the adult mosquito emerges. Newly emerged adults rest on the surface of the water for a short time to allow itself to dry before taking flight. 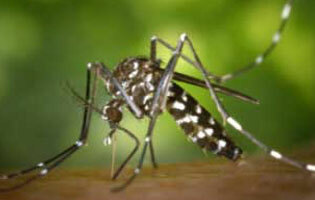 Female mosquitoes feed to get a sufficient blood meal to develop eggs. Male mosquitoes feed only on plant nectar. The life span of the adult mosquito usually depends on several factors: species, temperature, humidity, gender, and time of year. Males are typically shorter lived than females. Understanding which mosquito species are present in California, as well as their preferred habitats, feeding patterns, and life cycles, is instrumental for mosquito control agencies to carry out effective Integrated Vector Management programs targeted at this deadly menace. Learn more about what you can do to prevent mosquitoes in your backyard.